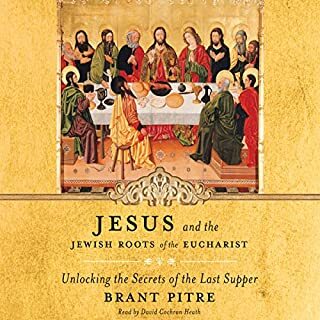 In Jesus the Bridegroom, Brant Pitre once again taps into the wells of Jewish Scripture and tradition, and unlocks the secrets of what is arguably the most well-known symbol of the Christian faith: The cross of Christ. In this thrilling exploration, Pitre shows how the suffering and death of Jesus was far more than a tragic Roman execution. 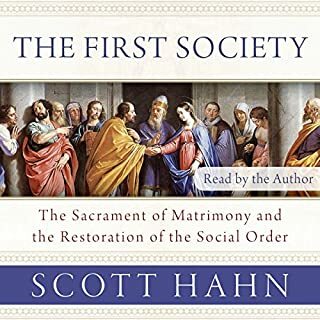 Instead, the Passion of Christ was the fulfillment of ancient Jewish prophecies of a wedding, when the God of the universe would wed himself to humankind in an everlasting nuptial covenant. To be sure, most Christians are familiar with the Apostle Paul's teaching that Christ is the "Bridegroom" and the Church is the "Bride." But what does this really mean? And what would ever possess Paul to compare the death of Christ to the love of a husband for his wife? If you would have been at the Crucifixion, with Jesus hanging there dying, is that how you would have described it? How could a first-century Jew like Paul, who knew how brutal Roman crucifixions were, have ever compared the execution of Jesus to a wedding? And why does he refer to this as the "great mystery" (Ephesians 5:32)? 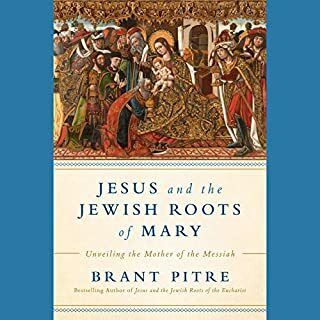 As Pitre shows, the key to unlocking this mystery can be found by going back to Jewish Scripture and tradition and seeing the entire history of salvation, from Mount Sinai to Mount Calvary, as a divine love story between Creator and creature, between God and Israel, between Christ and his bride-a story that comes to its climax on the wood of a Roman cross. 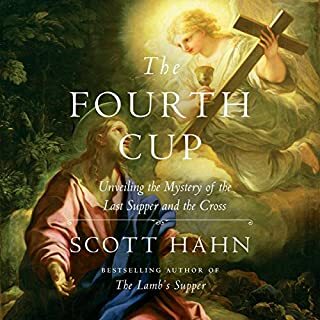 In Jesus the Bridegroom, dozens of familiar passages in the Bible - the Exodus, the Song of Songs, the Wedding at Cana, the Woman at the Well, the Last Supper, the Crucifixion, and even the Second Coming at the End of Time - are suddenly transformed before our eyes. Indeed, when seen in the light of Jewish Scripture and tradition, the life of Christ is nothing less than the greatest love story ever told. I found this book to be very helpful in deepening my understanding of the New Testament. It gives the reader a glimpse into the perspective of Jesus' Jewish contemporaries. There were many aha moments were texts I've read hundreds of times suddenly took on a new meaning and many times were passages I had never understood suddenly made sense. I'm going to buy the book to go through with my wife. Highly recommend. Would you listen to Jesus the Bridegroom again? Why? Yes. It increase my faith. The research into the Jewish roots of the faith is great. 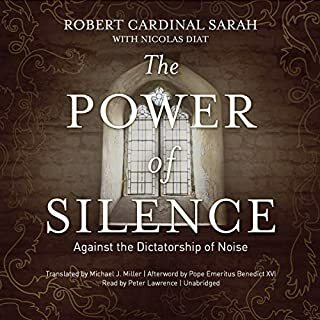 This is one of those rare audio books you never delete from your device library and can listen to over and over. I wish I could memorize sections of it! It also makes me wish we had a feast day for Christ the Bridegroom (like we do for Christ the King)... This book can change your prayer. Yes, this book will open your eyes to Jesus' actions in far more detail than anything else you've read or heard. We tend to hear Jesus say he is the Bridegroom and then tune him out as I don't understand that. You'll love it and will learn so much. I liked how the author goes into great detail in each of the Gospel stories relating to Jesus being the Bridegroom. He includes texts from the Bible, Talmud and other Jewish sources. The narrator does a great job reading the text. He's not flat or boring. Listen to the free sample and decide for yourself. Hearing the passion of our Lord being described as a wedding was mind blowing and deeply moving. Don't pass this book up. Give it shot and enjoy it. Where does Jesus the Bridegroom rank among all the audiobooks you’ve listened to so far? What other book might you compare Jesus the Bridegroom to and why? No, frankly because I didn't want it to end they quickly. 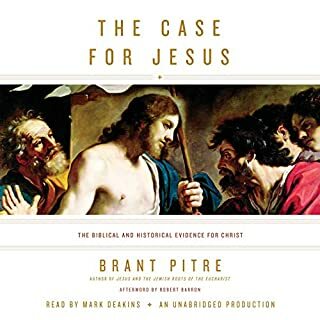 Brant Pitre is one of my favorite Scripture scholars and someone who I hope puts more on audible. You've got a sure sale of at least one if you do. You absolutely must read this book. It has opened up Scripture anew to me. The Mass and the Sacraments have taken on new life. I honestly can't put into words the importance of understanding Christ as Bridegroom and how the symbol permeates not only Scripture but also our entire lives. Most importantly, this book changed the way I prayed and minster to people. Again, read this, please. A crucifixtion and a wedding? 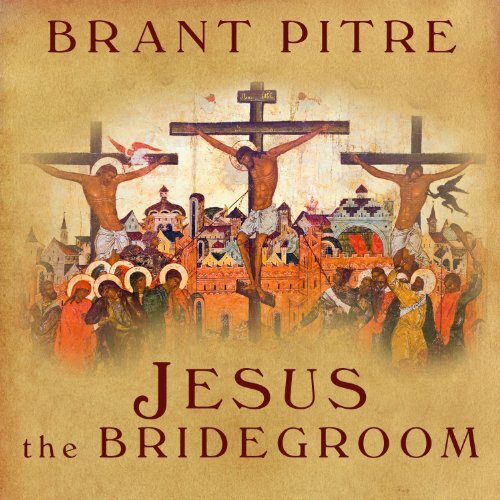 Once reading (listening) to Brant Pitre's "Jesus the Bridgroom,". I now see Jesus's crucifixation In a whole new light. Also the wedding feast at Cana, the woman at well, the Song of Solomon come alive like never before. It was interesting to learn that those stories and many more are linked to the cross and ultimately to Jesus the Bridgroom and the greatest love story ever told. I can't stop thinking about it. good content, but delivery was lacking. If you could sum up Jesus the Bridegroom in three words, what would they be? Mel Foster's narration of this book was so mellifluous that I had to take frequent breaks, because although the content was riveting, his voice put me to sleep. This book is worth the price and the time in spite of the narration. I was amazed by what I have learned. I believe all should read this it sure improved my understanding.